Hide deals from seller "Lucas Hair Salon & Spa"
Limit 1 per person; may purchase 2 as gifts. Valid toward services. New customers only. By appointment; mention voucher when scheduling. Full value of Gift Certificate must be redeemed in 1 visit. 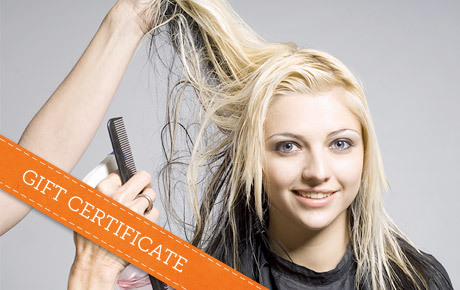 Liberate your locks this summer with 50% off a $50 Gift Certificate to Lucas Hair Salon & Spa in Plainfield. With an extensive list of hair and spa services for men and women, this budding salon can relieve your stress while refining your look. Lucas Hair Salon & Spa is a newly opened establishment that offers services for pampering, beautifying and relaxing your mind and body. Their experienced stylists provide excellent customer service while providing the latest hair trends. Use this Independence Day deal to upgrade your look with a Malibu treatment to remove chemicals and chlorine from your hair, or untie those stress knots with a Swedish or deep-tissue massage. Find summer style with this deal. A salon and spa in Plainfield that offers haircuts, massages and more for men and women.